We had the opportunity to sit down and meet the paranormal team , OC Ghosts & Legends. They were leading and hosting a huge ghost hunt at The Oman House on April 13, 2019. Tune in to learn about their views on investigating the paranormal and how to pursue a career in the paranormal field. Lets discover the unknown with OC Ghosts and Legends! Heads up! Tickets are still available for the Haunted BBQ and Ghost Hunt at The Oman House April 20, 2019. More details and ticket info below! On today’s episode we share ghost story submissions from out listeners! Tune in a we talk about haunted halloween decor, being able to connect with the dead, ghost pets and the scars you bare after investigating an abandoned mental hospital with a dark past. You dont want to miss this episode! 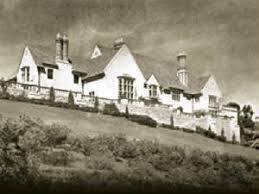 On February 16, 1929, four months after Ned Doheny, his wife Lucy and their five children moved into Greystone, Ned died in a guest bedroom in an apparent murder-suicide with his secretary, Hugh Plunkett. 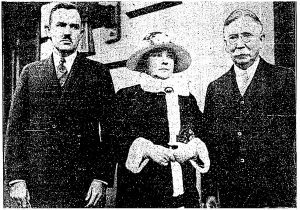 LAPD claimed Hugh was responsible while other investigators believed that it may have been Ned’s wife Lucy since many believed Ned and Hugh were having a secret affair. What secrets lie within the greystone walls of the mansion? Was the death of Ned and Hugh murder suicide or something more? 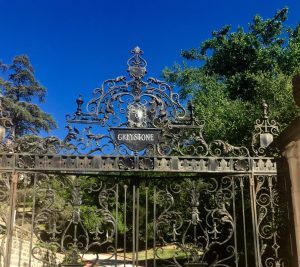 What ghosts have been seen and felt around the Greystone property? Tune in to find out ! “Some places speak distinctly. Certain dank gardens cry aloud for a murder; certain old houses demand to be haunted; certain coasts are set apart for shipwrecks. The Historic Harris House is a two-story Victorian Transitional home dating back to 1902. Recently, a film crew captured a “ghost” photo inside one of its upstairs rooms. 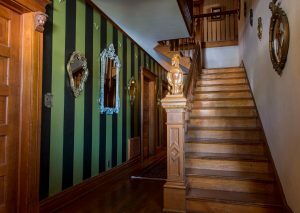 Others, including the owner, have also experienced paranormal activity there as well. 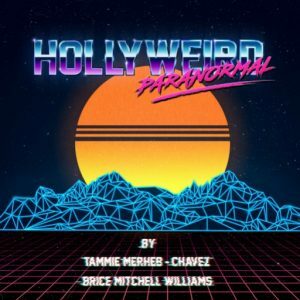 On March 8th Hollyweird Paranormal attended Bizarre Los Angeles’ historic presentation and paranormal investigation at The Historic Harris House in Glendale, CA. Tune in to find out the what ghosts linger on the 2nd floor along with an EVP that Tammie collected in one of the most active rooms of the house. To learn more about the Harris House then click on the link below! 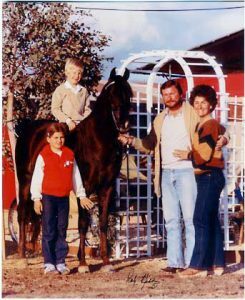 On June 5, 1983, William Hughes peered through a sliding glass door into the master bedroom of the Ryen family’s house in Chino Hills. He spotted the bloodied body of his 11-year-old son Christopher, who had spent the night with the family. Nearby were Peggy and Doug Ryen, hacked and slashed to death. Eight-year-old Joshua Ryen lay on the floor, his throat slit, but alive. Out of sight in the hall was Jessica Ryen, 10, no longer breathing. 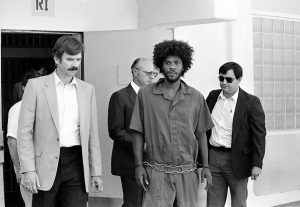 Two days before the killings, Kevin Cooper had escaped from a prison in Chino Hills, where he was serving a sentence fro burglary. Police found evidence – cigarette butts, a button from a prison uniform, a leather hatchet sheath – that Copper had spent two days in a house near the Ryen’s property after his espcape from CIM. 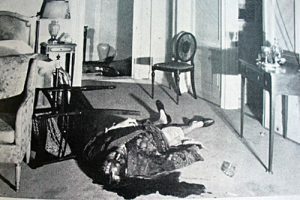 He was arrested about seven weeks after the killings. At the trial, jurors heard the lone survivor give a videotaped statement that conflicted with what he had said when he was first interviewed with hospital staff and San Bernadino detectives. Josh Ryen mentioned in his first statements that he saw 3 white or hispanic individuals in the house the night of the murders. More statements and evidence were later turned into authorities -that would later not be used in Kevin Cooper’s trials to support his case. The Oscars might be the biggest night in the entertainment calendar, but it’s never just about honoring the best movies Hollywood has to offer. Over the course of its 91st-year history, the Academy Awards has had its fair share of controversy and scandal—from A-lister boycotts, to awkward musical numbers and even award mishaps. 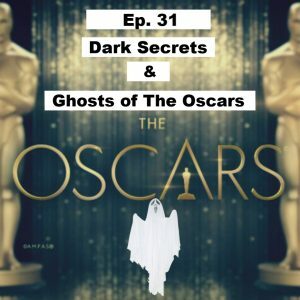 On episode 31 we talk about the Oscars dark secrets and scandals that have recently made its way into light. We also touch on the brief history of The Oscars, the attack of the silent and smear campaigns , the 2019 Best film nominations and Oscar nominee ghosts? 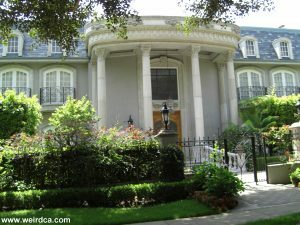 Yes, we talk about a haunted house off of Rexford dr. in Beverly Hills that was owned by a famous Oscar nominee who saw a ghost, was haunted by a ghost and later became a ghost. You definitely don’t want to miss this crazy Hollyweird tale. Los Angeles is world-famous for its nightlife. But do us Angelenos know that we are literally having spirits with the spirits while we are out in town? 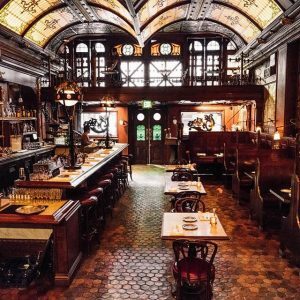 If you’ve always wanted to have drinks with a ghost, L.A. is definitely your town. Join us on another haunted walking tour of Los Angeles with your gurls as we travel from DTLA to Mid-Town and Hollywood to take a look inside some of the creepiest places to enjoy happy hour. 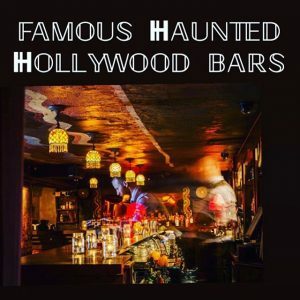 Tag along as we discover the underground prohibition tunnels, rub elbows with the hitchhiker ghost at eddy’s saloon, enjoy The Black Dahlia cocktail with the Black Dahlia herself and hang with the bathroom ghosts in Hollywood…yeah we’ll go into detail about that on Episode 30 of Famous Haunted Hollywood Bars. Lets get Hollywasted if you dare. 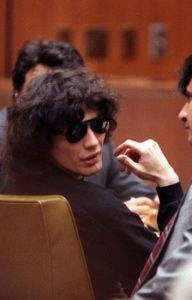 Over a period of 14 months, Richard Ramirez, aka “Night Stalker,” killed 13 people and attempted to kill five more across California. In a span of one year, Ramirez kept LA on edge with his murderous rampages. 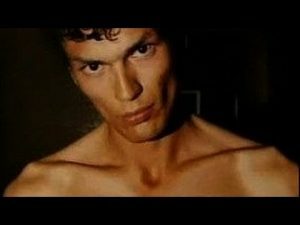 Today he is known to be one of the most notorious serial killers in history. On today’s episode we talk about Richard’s childhood, dark journey into a life of crime and satanism. We also talk about his trial and the women who loved, fought and admired The Death Row Romeo. 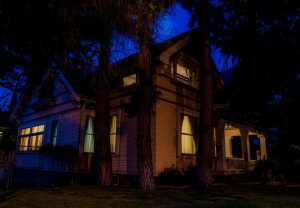 The paranormal aftermath, we sit down with author Mario Becerra of “Haunted East Los Angeles” as he shares a tale about a family who experienced a dark and negative entity after their son locked eyes with Ramirez during his arrest. 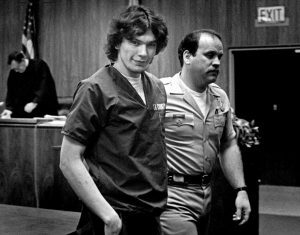 What led Richard Ramirez to commit these violent crimes? Was it Nature or Nurture? Or was it something unearthly ? Did Richard imprint a negative force that attacked a family in their East LA home after they locked eyes with the killer? **Side note : please pardon the volume on our interview with author Mario Bacerra. We are true crime enthusiasts and para-nerds not sound engineers. We do our very best to improve the sound of our Face Time interviews. Headphones are recommended for that portion. Also the following episode contains violent and graphic content, listener discretion advised. Now lets get Hollyweird. Halloween might seem like the spookiest time of the year but Charles Dickens, M. R. James, Edith Wharton, and other literary greats felt otherwise. They were among the many authors who set their most terrifying stories during the dark and chilly days of Christmastime. Reading a ghost story on Christmas Eve was once as much a part of traditional holiday festivities as turkey, eggnog, mistletoe, and Saint Nick. On this episode we share a submitted holiday ghost tale from one of our listeners as we dive into the lost tradition of sharing ghost tales during Christmas accompanied with a few California Christmas ghost tales. HEY BOO HEY!!! GUYS WE HAVE A TREAT FOR YOU !!! IF YOU HAVE BEEN FOLLOWING US ON SOCIAL MEDIA THEN YOU KNOW WHATS HAPPENING. WE HAVE A VERY SPECIAL GUEST ON OUR SHOW, FOR ALL OF YOU TRUE CRIME & MIND HUNTER NERDS, WE GIVE YOU CAMERON BRITTON OF THE HIT NETFLIX SERIES , MIND HUNTER & NOW THE UMBRELLA ACADEMY!! !